Something about San Diego that’s different, special and unique. Residents and people from surrounding areas all are on bikes, skateboards, playing tennis or jogging and surfing everywhere. This atmosphere captures my soul and takes me for a ride in search of any small piece of this epic attitude or atmosphere. As my mind drifts to all that San Diego offers, I must reel myself back into focus for a task at hand. A project of great importance and potential impact. 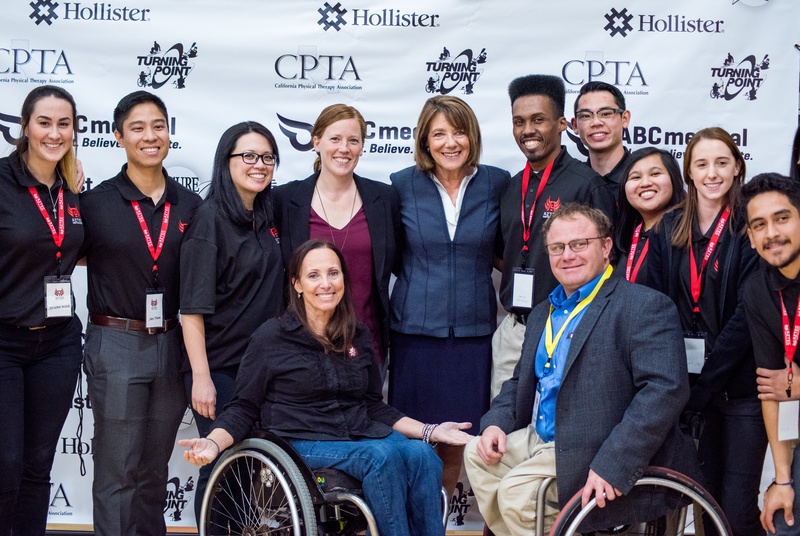 Collegiate Adapted Sports is at a critical juncture and a ‘Monumental Moment’ all at the same time. We covered this in great detail in a previous blog, titled "Why Should We Invest in Collegiate Adaptive Sports Programs Now?". 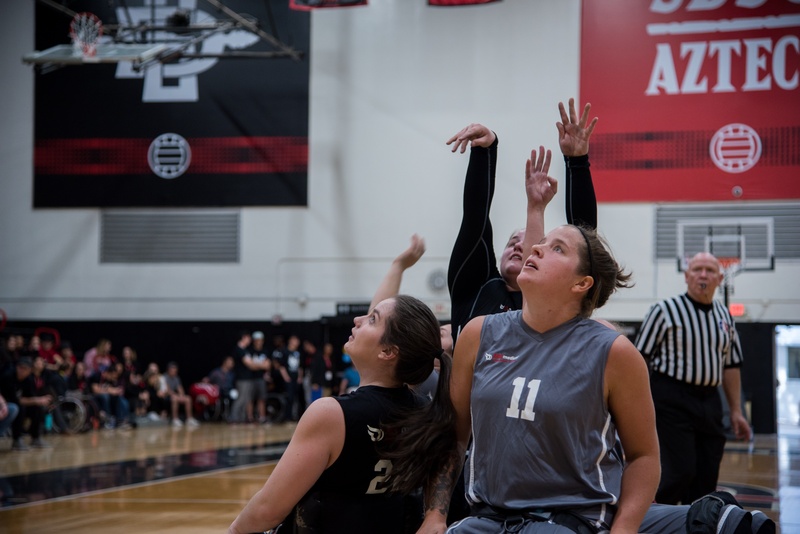 The current movement I am blogging about is to expand collegiate adapted programs nationally, but the hottest iron in the fire is in the west and specifically at San Diego State University (SDSU). California is long over due for what seems to be a no brainer given the states given progressive nature and its population of people with disabilities. 10% of all high school aged youth with a disability in the nation lives in California. This statistic justifies the need by itself without consideration of the population nationally that would jump at the opportunity to go west for college. Students with a disability and involved in collegiate sport programs are as likely or more likely to graduate then that of general population of students. What I can only surmise is that if we get athletes with a disability into college programs, that those institutions get students who will achieve and graduate at a higher rate than that of able bodied athletes. Currently individuals with a disability are likely to say they plan on going to college but in reality are less likely to attend college. Most likely, there are other circumstances as well, but as I said in the previous post, I believe ‘Supply and Demand’ is the greatest factor and obstacle. The National Wheelchair Basketball Association’s Junior division is busting at the seams with youth of all ages. High school seniors are graduating while attempting to attend colleges with adapted athletic-programs, especially Wheelchair Basketball. With only 11 colleges nationally (see below image of the special banner created for the Aztec Showcase) that offer adapted programs there is no way it can keep pace with all the youth that want to attend and possibly receive support in the way of sport and academic scholarships. People with disabilities are least likely to attend college and live in poverty while reporting negative health conditions much more than that of the general population. This factoid is a sad reality and the only way to change this is to expand one college at a time, so that at a minimum, we can meet the demand of our youth who want to go to college and participate in adapted athletics. ABC Medical, the greatest gift the NWBA and adapted sports has seen in terms of support, finds itself in the middle of this proposed development at SDSU. 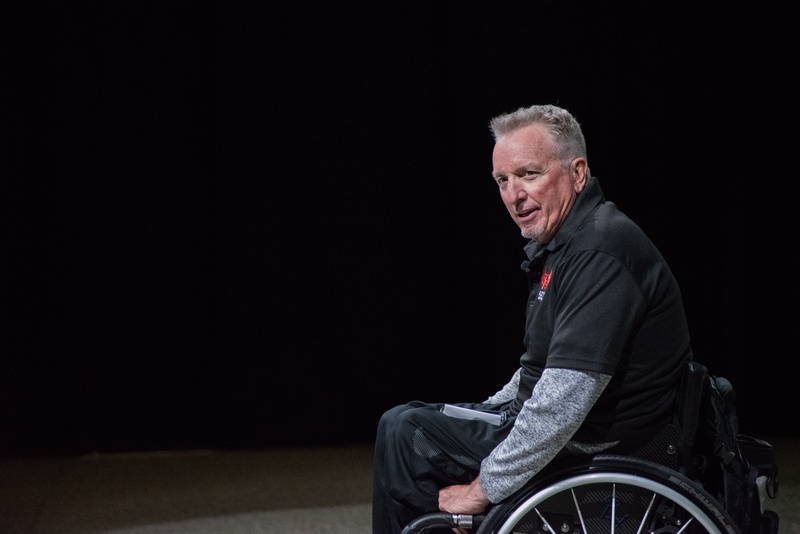 While demonstrating their ‘Moral Fiber’ once again, Keith Jones, CEO, along with Işıl Tanyeri has planted ‘Seeds of Hope’ toward the establishment of adapted athletics at SDSU. The ABC vision does not end with only San Diego State. It's just a starting place to dream of a national picture where supply does meet demand. 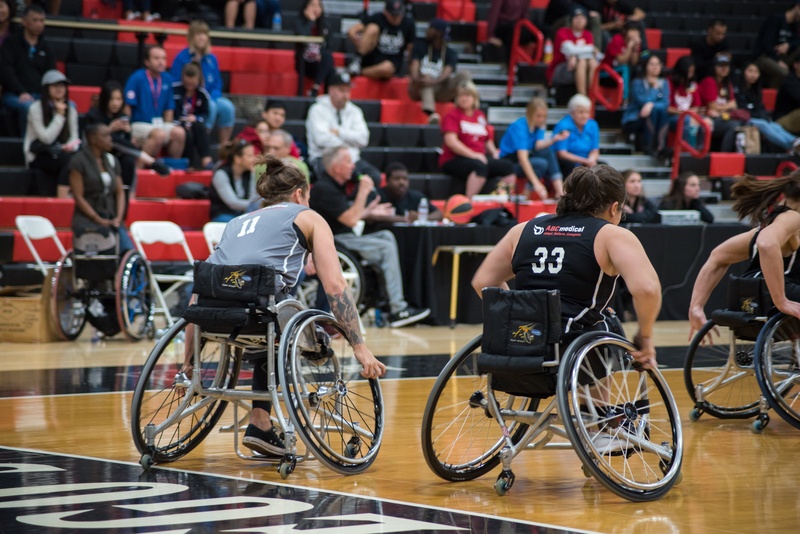 Wheelchair basketball has been the primary sport that’s been developed at the collegiate level. ABC and other mover and shakers now see more sports being added to the menu in college programs. On January 26 and 27, on SDSU campus the Showcase had tremendous impact. Friday night the program was introduced by Ahkeel Whitehead, Paralympian and student organizer/promoter on campus. 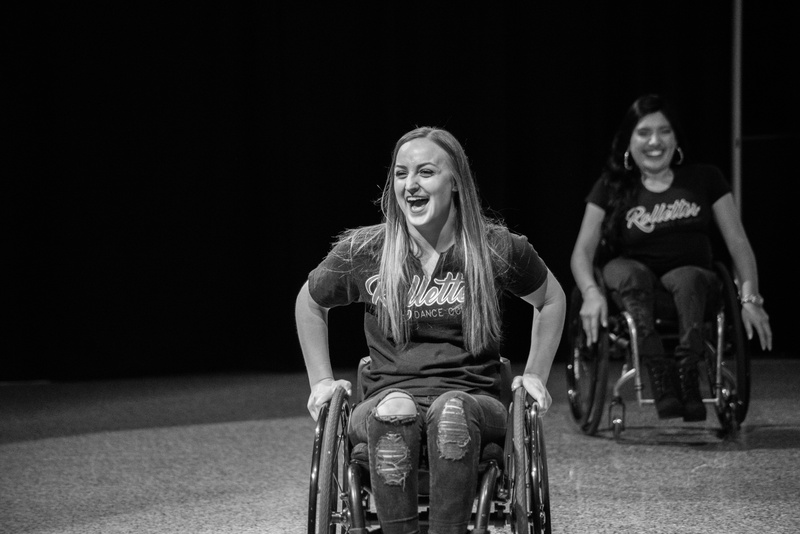 First on the schedule was 'The Rollettes,' a dance performance by women with a disability. Next was yours truly, DK, as the keynote speaker followed by the cutting edge movie ‘The Rebound’ which concluded a night of impact and engagement. Students, professors, administrators and concerned citizens got their minds expanded and we all left Montezuma Hall with the birth of a ‘Monumental Moment’ of change. 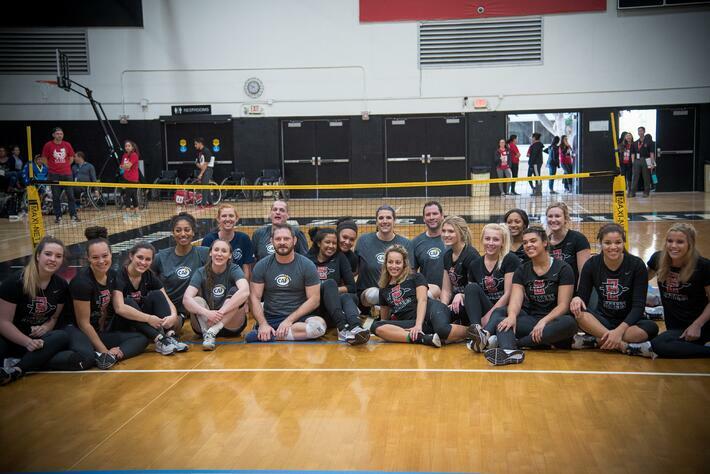 Saturday morning saw an exciting siting volleyball demo with the athletes from the Challenged Athletes Foundation playing the SDSU Aztec Women’s Volleyball Team. Volleyball was followed by Anthony Lara and Steve Baldwin doing their thing which was a Wheelchair Tennis demonstration, where both Paralympians also wowed the crowd. 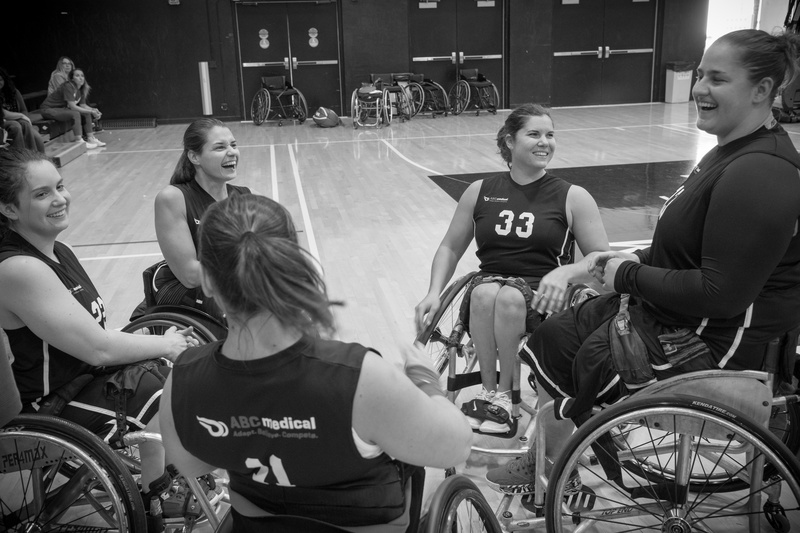 The Finale was the ABC Medical All-Stars, former Alabama University Women’s Wheelchair Basketball players. The crowd witnessed a rough and skillful game by some of the world’s best players from the U.S, Australia and Canada. San Diego is the city, and Aztec Adapted Athletics has a beautiful ring to it. Everything points to the fact that it’s time. The quote of “Build it and They Will Come’ is an understatement. 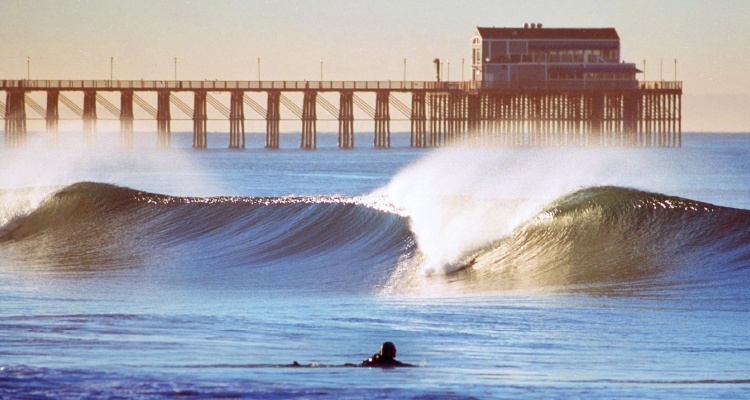 Many colleges that currently exist in the mid-west and east are under snow in the winter while those in January in San Diego are still surfing! So, the climate and lifestyle are as attractive as it gets. The disabled student athlete type will flock to be accepted to SDSU. Coaches and administrators will leave their current jobs to be considered to become employed and build the program at SDSU. In speaking with students, professors and administrators there existed a common thread of competition with the larger schools like USC and UCLA who hog PR. Being first was something that mattered to SDSU. I think of the Public Relations and marketing campaigns that could be built to bring resources and attention to the campus. The potential Paralympic stories that would be birthed at SDSU. 22% of the population in San Diego is military. This means that the disabled vets that come from that 22% would be staggering. Camp Pendleton and V.A. services at an arms distance could be a feeder to the new program at the college. This project has ‘Winner’ written all over it. Funds and resources could be recruited from so many different sources. Paralympics and colleges are tied to one another. The Ying and the Yang. Today an athlete in wheelchair basketball is either in an adapted athletics program or has graduated from a program to be considered on a national USA team. National team coaches are looking for this type of player with a strong work ethic and a foundation of skill already developed at an elite level. The days of an individual coming from a community club team are all but gone. In my time as a coach, therapist and administrator of adapted programs I have been personally associated with over 25 junior athletes who have been recruited on scholarship to attend universities to play wheelchair basketball while earning an education and degree. No greater feather in my cap then to have a small part in something so monumental. I feel strongly that this Vision is not just one of hope, but rather one of intention!! 11 colleges nationally are just scratching the surface and needs to change. No longer can we stay satisfied with such a small number of opportunities for our youth. We can and must be part of the great solution just as ABC Medical has done. Keith Jones, the leader, has drafted a short and a long-term business plan, as a next step in the process. A plan that is critical to our success in San Diego moving forward. How can you, the reader help? Well, word on the street is a small way one can help. Create discussion in your circles and begin to look at your community relationship with your local university. Know that there is a cook book for how to present a program to the decision makers using the ‘Adaptive Showcase’ concept of sport demos or showing of the movie “The Rebound’. Be part of the ‘Solution’. ‘Pave the Way’ San Diego State University. Build it and they will come!! Email marketing@abc-med.com as they're building a list of 'future champions' to work with to expand Seeds of Hope across the nation.